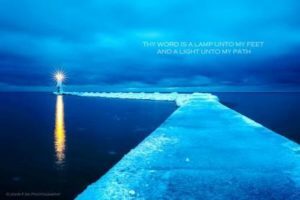 Each angel holds a torch to light our Path. While each of our angels may use a different style of light, the illumination is always to bring clarity. The gift of Clairvoyance, or Clear Sight, is brought to us by Archangel Raziel. It is, perhaps, clairvoyance the one we are most familiar with; and we tend to use it as the umbrella for what we see as Gifts of Knowing. His torch glows next to him, while he is keeping touch with what his heart is feeling about what he sees – and sees clearly. “Welcome to the Visitors’ Center.” Visit any large city – or sometimes not so large city – and you’ll find a welcome center usually on the edge of town just off the highway. Step inside and you’ll find more brochures and pamphlets and maps than you ever thought possible. Amusement parks, hotels, RV camps, churches, festivals – all things happening in the local area. For the longest time, I would groan when my husband pulled into the Welcome Center parking lot. He’d come back to the car with a handful of pamphlets and coupons and maps. (More groaning.) Over the years, if begrudgingly, I have learned that had it not been for those local details, I would have missed a lot of really fascinating places and interesting sites. I would have missed out on a lot of fun! When we think about the gifts of claircognizance, clairvoyance and clairsentience, we should think of them as God’s Visitor’s Center. Welcome to Earth! You can navigate from the street signs and see what you can see or you can take these three brochures and see more than you ever could with just your worldly sight. Put your seat back a bit and get comfy; take a sip from your travel mug and (groan if you must) let’s turn open your … brochures. Claircognizance. Daydreaming may be another way of describing the gift of claircognizance. While clairvoyance and clairsentience may be described as passive gifts, claircognizance would be the gift most in need of your active participation. When we practice claircognizance, we do so by paying attention to thoughts and ideas, no matter how random their appearance or timing may seem. We take those ideas and thoughts and give them a test run with our imagination. “What if?” we ask ourselves, finishing that sentence with the thought or idea that came to us. The Archangel Uriel, the angel associated with this gift is, no surprise, the angel of focus and thought and wisdom. 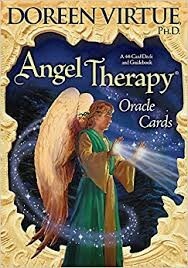 Because Uriel is the angel of clear thinking, we ask her to be with us when we have decisions to be made and when we need to bring ideas to fruition. Allow Uriel’s torch of Claircognizance to light your way. Clairsentience. “Notice your breathing …” How many meditations begin by directing us to call attention to our everyday experiences? Be aware of your feelings is the phrase that best describes the directive given with the gift of clairsentience. Archangel Raguel carries a torch, as well. Behind him, a starry sky – representing the many, many feelings that rush to us and fill our sky all at the same time. Often, it’s difficult to separate one from the other. What am I feeling? That’s when Raguel comes to our aid bringing clarity to our feelings and encouraging us to have faith in what we feel and know that there’s a reason behind it. It may not always the reason our logical mind may think, but a reason nonetheless. Messages are never received to be disregarded. There is always a nugget in there that we are to hear. That gnawing feeling that a coworker can’t be trusted. Taking the same route home that you always take isn’t such a good idea today. He seems like a pretty nice guy and his profile seems real … but there’s just that Something that feels wrong. In each of those situations, clairsentience is at work. Still, trusting yourself is often the most difficult part of the process. When we ask Archangel Raguel to help us, we’ll find the confidence to honor our feelings. To “trust your tummy,” as I tell clients. Even the simplest prayer spoken from the heart will provide profound results. Dearest Raguel, as I discern the situations around me, help me to feel clearly the intentions of others. Take from me prejudice and expectation and allow me know in my heart what is best for all involved. Grant me the self-confidence to go forward in love and trust. Allow Archangel Raguel and his torch of clairsentience to warm your heart. Clairvoyance. Symbolized by the Archangel Raziel, clairvoyance is often seen as the “psychic gift.” The all-knowing super-power. In truth, clairvoyance is about anything but clenched fists and all about open palms. Clear Sight is the literal meaning. Raziel brings the beautiful message that all that we see isn’t necessarily all that’s there to be seen. We engage our gift of clairvoyance by dis-engaging. We allow the world around us to be the painting that it is and to breathe in the artist’s strokes rather than the images of the lake and the tree and the dog-with-a-bone. Knowing would be the word associated with clairvoyance. Client’s will understandably ask, “How do you KNOW? !” … the truth is, I don’t know how I know. I don’t know that I’ve ever met a colleague who did. That’s the gift of clairvoyance. If I start to dissect it, I would likely stumble and fumble and find myself back seeing only what is easily seen. The way to clairvoyance is stillness. Archangel Raziel, it is said, is the veil between Here and There. He brings with him a glorious yellow light and is often associated with rainbows. Not only the ones in the sky after a storm, but the ones that your water bottle makes on the kitchen table or a spider web makes, seen through the window. When you see a rainbow in your life, it’s a gentle encouragement from Raziel to be still. Be at my side, Dearest Archangel Raziel. Calm my heart, remove my doubts, grant me courage to accept the knowledge that you allow. Soften my heart to know that we are all children of God. Open my eyes so that I may see God’s wonder. With a clear, calm spirit, Archangel Raziel will light your world in such a way as to allow you to see the unseen. When you receive Claircognizance, Clairsentience or Clairvoyance in your reading know that, in addition to the specific gifts each impart, that you are being called to accept these gifts. The Archangels Uriel, Raguel and Raziel are at your side for this beautiful journey. They are in the back seat as you visit this earth. Enjoy your travels! 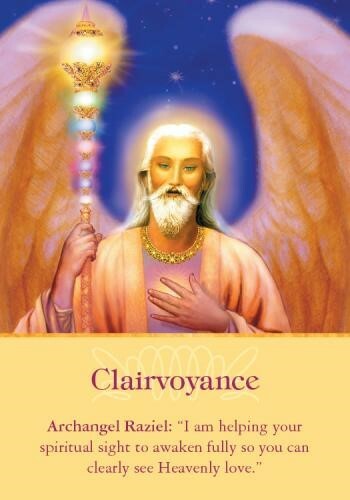 The Clairvoyance, Clairsentience and Claircognizance Angel Cards are selected from Doreen Virtue’s Angel Therapy deck.